Either a Hobbit was in the #Toronto Eaton Centre or it was a bearded gnome wearing a red cone hat. Yup, it's a friendly gnome wearing shades! 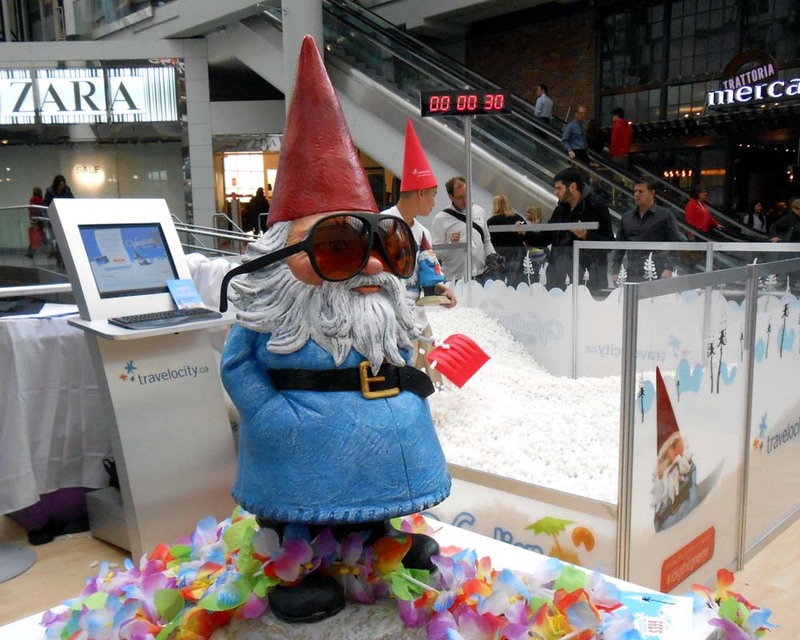 Travelocity have a contest at the mall with a chance to win a trip to Aruba. 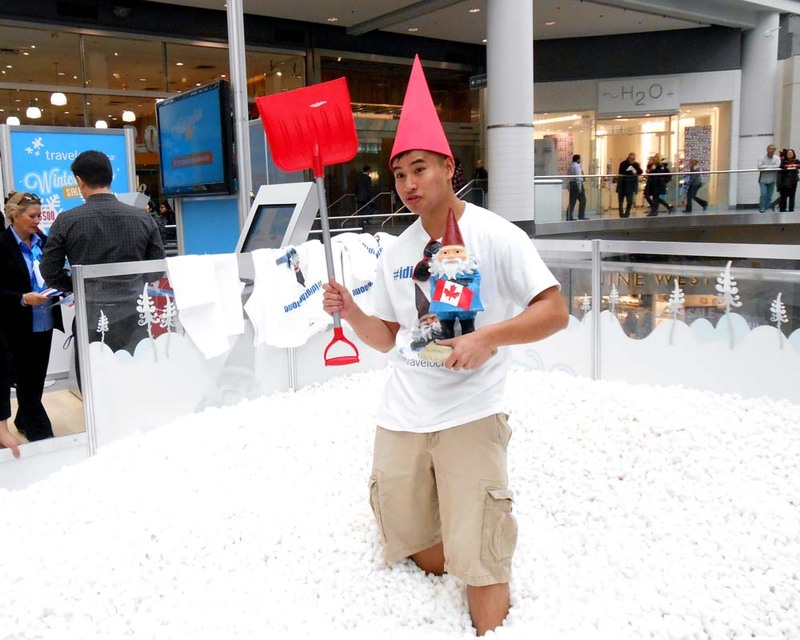 I believe you had to search through an enclosure filled with white packing foam and find something, maybe another gnome.